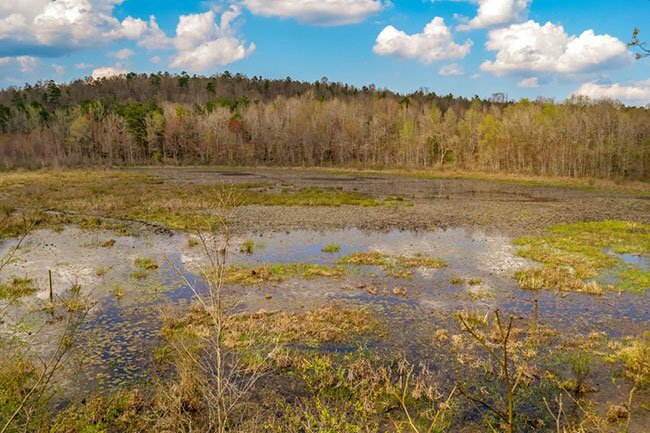 Forty Acre Rock Heritage Preserve in Lancaster County contains the Upstate’s most diverse natural habitats. 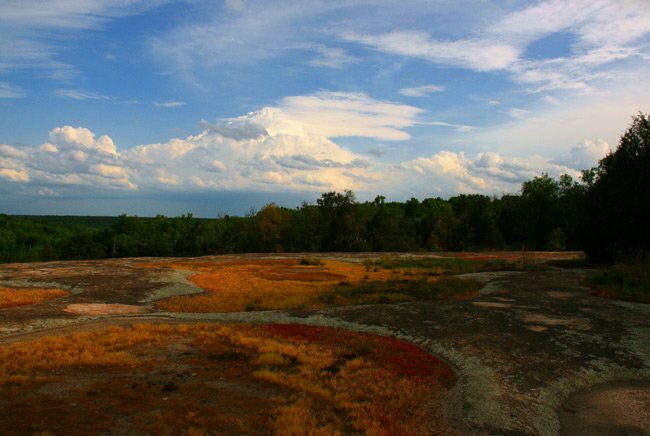 What seems like a 40-acre-wide granite rock at the peak of the preserve actually spans only 14 acres. Yet the views that stretch across the Piedmont from atop this natural wonder give the illusion of the formation being much bigger. 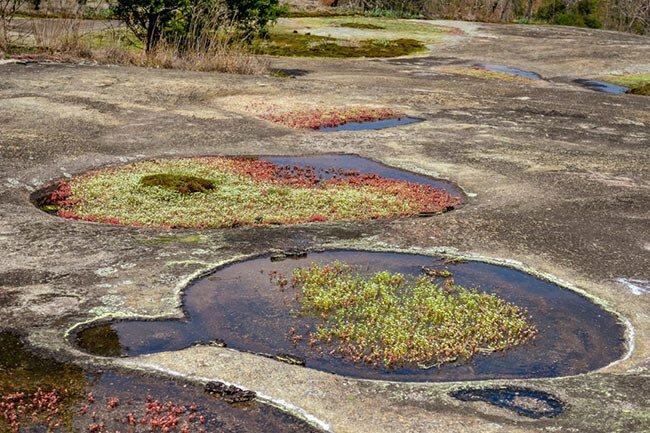 The entire preserve encompasses 2,267 acres of biodiversity, with waterfalls, beaver ponds, a vast array of wildflowers, and even long leaf pine forests all adding to the remarkable medley of plant life found here. 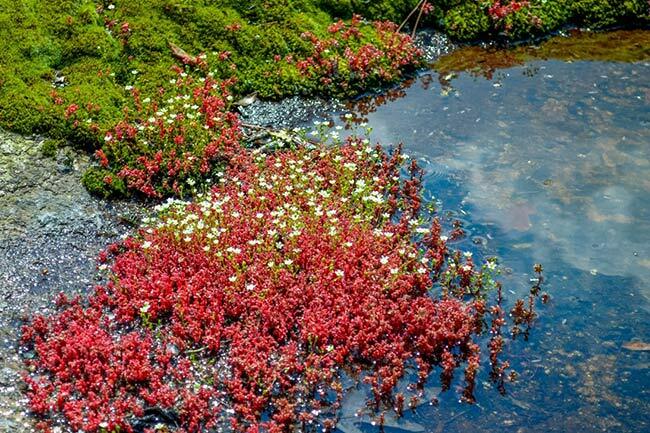 Several rare and protected plants are provided sanctuary within the preserve’s hardwood forests and the rock’s microhabitats. 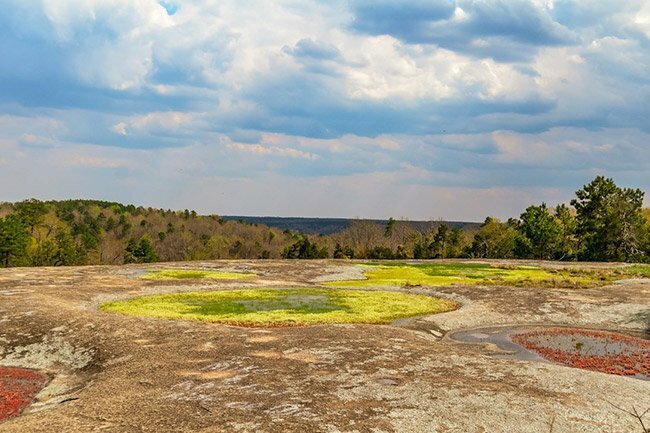 Sadly, vandals have contributed to the fragility of the rock and its surroundings by operating four-wheelers within the preserve, which is not allowed. Others have spray painted graffiti on the rock, causing harm to its plants, and subsequently, the animals who eat them. 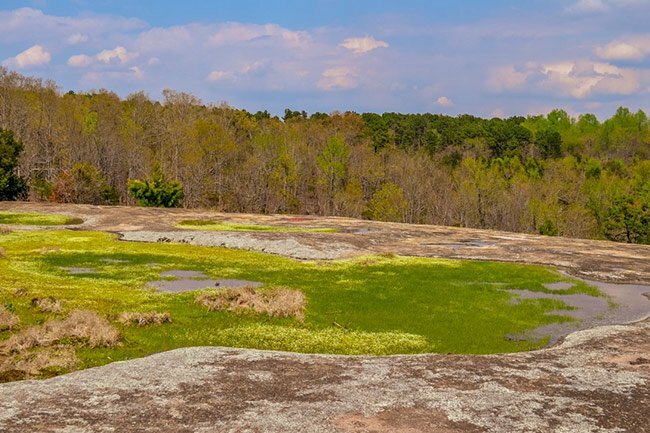 The damage done to this otherwise pristine refuge is reminiscent to that suffered at Peachtree Rock Heritage Preserve in Lexington County. 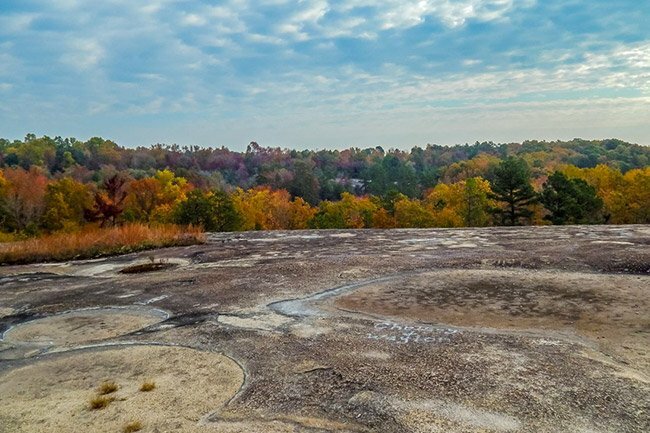 Visitors are encouraged to walk the trails and appreciate the arresting beauty of Forty Acre Rock, respecting and conserving the ancient heritage of natural South Carolina. Most diverse area I have ever visited. Great trails beautiful wildflowers. You can go from a tiny stream to a large area of water and numerouse waterfalls. But when you climb the mountain to see the whold top is rock it is like another planet. Very unusual and would recommend to visit. A wonderful trip for all! Visited on a sunny winter day and had a lovely time! Can you take horses to ride the trails?